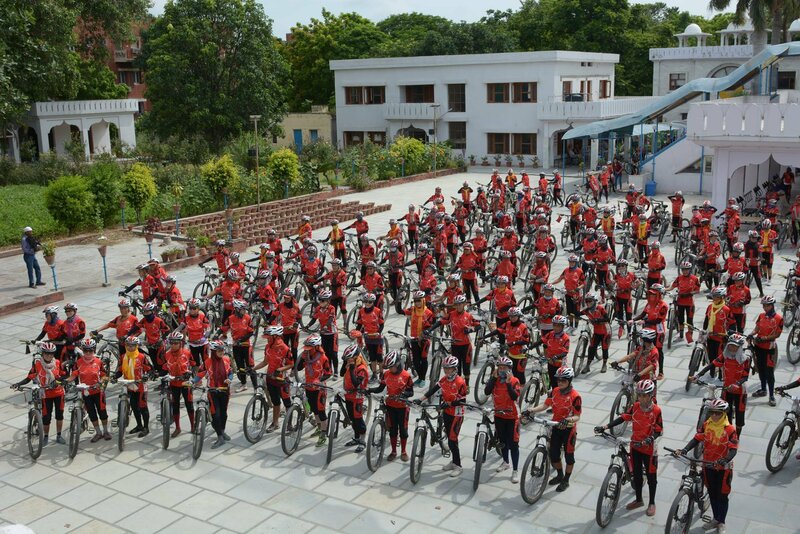 For the next few months, hundreds of “kung fu nuns” will be bicycling thousands of miles across the Himalayas to provide aid to suffering communities and raise awareness for human trafficking. It will be their fifth annual tour across the region and the nuns are eager to make an impact. From the Drukpa Buddhist order, the kung fu nuns are an elite group who hold leadership roles and act as cultural diplomats. During the pilgrimage, the nuns will be joined by His Holiness the Gyalwang Drukpa, the spiritual leader of the Drukpa Buddhists. Throughout remote villages in Nepal and India, the kung fu nuns have emerged as powerful champions of change, upending long-cemented gender norms and instilling resilience in communities facing the depredations of poverty. If the name “kung fu nuns” sounds like a hollywood concoction, well, the real story of the group’s creation is much more compelling than anything that could be dreamed up in a boardroom. 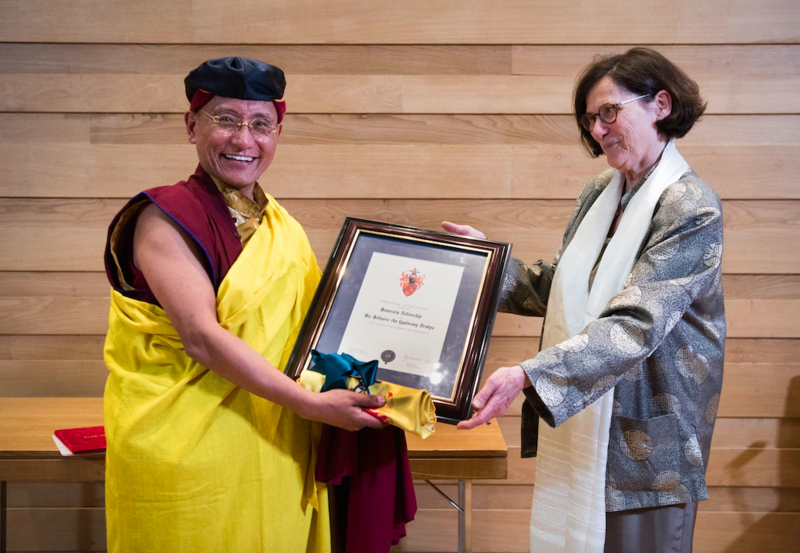 Earlier in the year, Gyalwang Drukpa and Carrie Lee, the president of Live to Love, a grassroots organizations that’s sponsoring the pilgrimage, spoke with Global Citizen about how the group formed. Throughout parts of Nepal and India, Gyalwang Drukpa said, girls and women are not valued the same as boys and men. Whereas many families see boys as investments, they view girls as burdens, he said. As a result, girls are often denied the opportunity to go to school because it costs too much money. Just 66% of girls go on to attend secondary school, according to UNICEF. In remote and rural parts of Nepal, education is even harder to obtain for girls, according to Global Giving. Girls who are pulled from school are oftentimes sold into child marriages or forced into labor to raise money for families, Gyalwang Drupka said. “If the girl has no opportunity, then even the parents think that the girl is useless,” he said. "[They say,] ’I have a baby girl, so I have to sell it." “It’s not only for the money they are making, but they think they’re developing their daughter to have a better life,” he added. This perspective has affected religion, as well. Before Gyalwang Drukpa became the spiritual leader of his sect, nuns held a lowly place. Gyalwang Drukpa said that this view, rooted in tradition, made no sense to him and he set about empowering nuns with leadership roles. Almost immediately, the nuns faced resistance and harassment from those opposed to the change. “Instead of backing down, His Holiness decided to teach them kung fu for self-defense and then also for self-confidence,” Lee said. And that’s when things got even more interesting. In April of 2015, Nepal was hit by a 7.8 magnitude earthquake that killed nearly ten thousand people, destroyed billions of dollars worth of infrastructure, and set off massive health crises throughout the country. The Drukpa nuns were in an area that was especially hard-hit by the earthquake. But when rescue teams were sent to evacuate them, they refused the offer. Instead, they wanted to help people in dire circumstances. 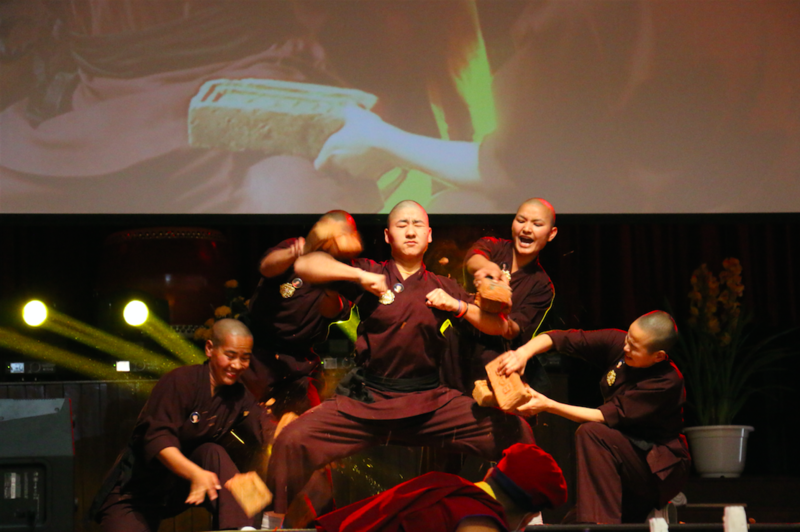 Gyalwang Drukpa said they made the decision in part because of the confidence they learned through kung fu. Since then, the nuns have been delivering food and water, rebuilding homes and schools, and promoting progressive values. Oftentimes, they've been the only people providing aid work, according to Lee. Because the earthquake caused such turmoil, people living in poverty faced tough choices, including what to do with girls. “In villages where men were migrant workers, [the nuns] were seeing that families weren’t keeping their girls, they were of no use, they didn’t think the girls were going to grow up to be strong enough farmers and they were thought to be bad investments,” she said. According to researchers at Dartmouth, human trafficking throughout Nepal and India surged following the 2015 earthquake. The nuns have been on a mission ever since to change perceptions and empower girls. And they’re trying to pass on their skills as well — the kung fu nuns hold self-defense workshops for girls and women to impart confidence. In a symbolic sense, the earthquake has helped to shatter gender norms by allowing the nuns to play such an active role in the relief effort. By rebuilding communities and going to door to door to speak with families, they’re able to expand the perception of what girls are capable of. “When you’re desperate and you’re starving, you don’t care what gender brings you a bag of rice,” Lee said. This latest bicycle pilgrimage will further the nuns’ efforts. And, if all goes well, they won’t have to draw on any of their kung fu skills to get work done. Global Citizen campaigns on women's empowerment and you can take action on this issue here.